Looking for wedding seating chart ideas to guide your guests to their table? We’ve got a few creative ways to make it match your theme. Your wedding seating chart is your guests’ map to your reception space. While your first priority should be making it clear, readable and easy to understand, you also want to make it into a piece of art (after all, it’s going to be front and center when your guests arrive). We’ve rounded up wedding seating chart ideas for all of the most popular wedding themes to make finding your dream design easier than sorting out who will sit where. Here are wedding seating chart ideas for every style of celebration. Embracing the geometric trend that’s oh-so-popular for modern weddings? Well, this is the wedding seating chart idea for you. Use cards cut into squares, hexagons, diamonds or circles and pin them to a clutter-free wall in your venue. 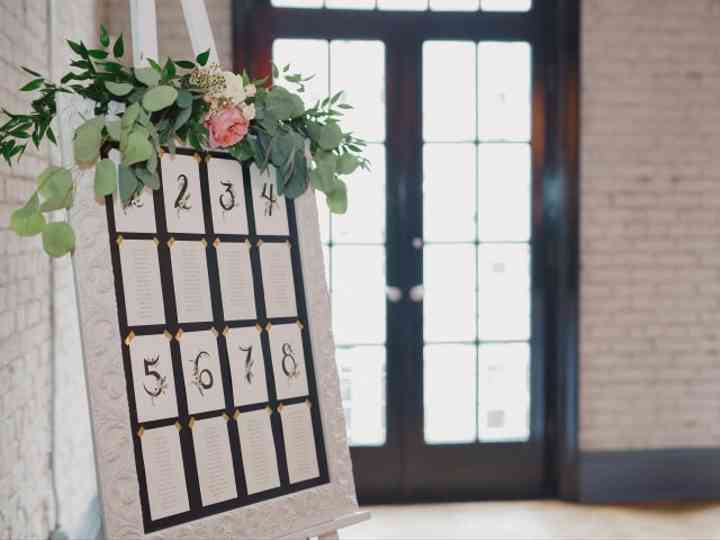 If the space you’ve chosen doesn’t have room for your seating chart on its walls (or you’ve chosen an outdoor venue) you can create a makeshift wall or display the shapes on a large sign, mirror or window. Don’t forget to embellish it with a bit of greenery to make the display even prettier. Got your wedding inspiration from Urban Outfitters and Anthropologie? Well, it sounds like you’re throwing a bohemian wedding celebration. For this, we suggest prettying up your wedding seating chart with a healthy dose of greenery, copper, and feathers. If you want to take yours to the next level, we suggest working some macrame into your design, too. If you’re searching for an elegant way to show off your wedding seating chart, this is it. A metallic arched folding screen decked out with candles, greenery, flowers and calligraphy cards works flawlessly for this wedding theme. Can’t find an exact replica? No biggie. If you spend some time hunting through vintage stores, flea markets and estate sales - you may be able to find something similar or equally amazing. 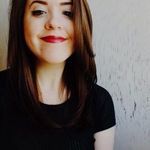 Hosting a vintage wedding? Well, now’s the perfect time to show your creative side. Head to your local antique market and sift through treasures to see if anything could be used to display your seating chart. Old suitcases, hat boxes, and mirrors may not seem like wedding seating chart ideas at first blush, but with a little DIY makeover they can easily be transformed to fit the bill. The rustic wedding theme will never go out of style. If you’re jumping on the bandwagon and decking out your shabby-chic venue with fairy lights, bunting, crate decor and more, you’ll want a wedding seating chart idea that fits in perfectly. For that we suggest following this couple’s lead and doing a frame and chicken wire chart, or using ladders or reclaimed wood to create your own unique display. Similar to rustic, but a little more shabby than chic, barn weddings are super popular for the summer months. For this theme, we suggest going with door seating charts. Whether you’re throwing your event in a barn, a countryside farmhouse or at some other type of ultra-rustic venue, you may want to take this idea as your inspiration. You can mix and match different colours (like this couple) or go for one standard style - either way it’ll look awesome. This wedding seating chart idea is perfect those who want to infuse their wedding with a bit of fairytale magic. Take your inspiration from Beauty and the Beast and use flower-filled bell jars to direct your guests to their tables. Keep in mind this idea may need to be tweaked a little if you’ve got more than a dozen tables in your wedding seating chart - it takes up some serious real estate (but looks amazing at the same time). Hosting a conservatory or garden wedding? Well, why not keep the floral trend going by covering your wedding seating chart in beautiful blooms and greenery. You can even add some fun floral graphics to your seating chart cards, if you want to go that extra mile. A minimalist wedding doesn’t need a seating chart with tons of bells and whistles. Make your table map match your less-is-more theme by using a clear, simple font and a clean and crisp display. While we don’t recommend going too wild with accessories, we suggest playing around with how you hang it (we love these copper structures) and adding some greenery or florals to amp it up a little. Industrial chic weddings in galleries, lofts, and warehouses are all the rage right now. Since these events tend to be on the artsier side, you’ll want a wedding seating chart idea with some creative flair. We suggest turning yours into a work of art with paint splatters and hand-written names and table numbers. You can either DIY or hire a talented professional to do the job for you.